Are you looking for a cheap rental car in Spain? Stop searching and book your rental car now through Alamo.nl for one of our many airport or city centre locations! Alamo.nl offers you an all-inclusive deal, which means that you will be fully insured whilst driving. Make sure you use our No-Risk insurance, if you would like to waive your deductible excess. The No-Risk insurance costs only €3,50 per day. Spain is one of the biggest countries in Europe and a well-known tourist destination worldwide. The cities are beautiful and the food is amazing. The south of Spain, called Andalusia, is the most authentic part of the country. In this area of Spain, where the Flamenco dance was born, you will find some historic cities which are definitely worth a visit. 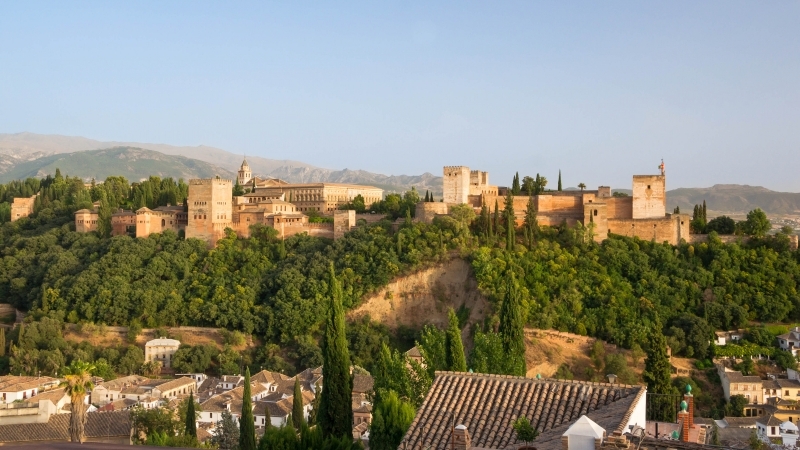 An amazing route made for driving is the triangle route from Malaga to Sevilla to Granada. With your Alamo rental car you will have an amazing and comfortable journey through the Spanish landscape! You will find the popular Costa Brava in the northern part of Spain. Every year millions of tourists visit this region. The beaches of Tossa de mar, Blanes and Lloret del mar are amazing. The Costa Brava also boasts major cities like Barcelona and Gerona at driving distance. Especially in Barcelona and Gerona it can be very busy during high season, so make sure that you book your rental car prior to arrival via Alamo.nl! √ During high season it is almost impossible to rent a car when you arrive at the destination.